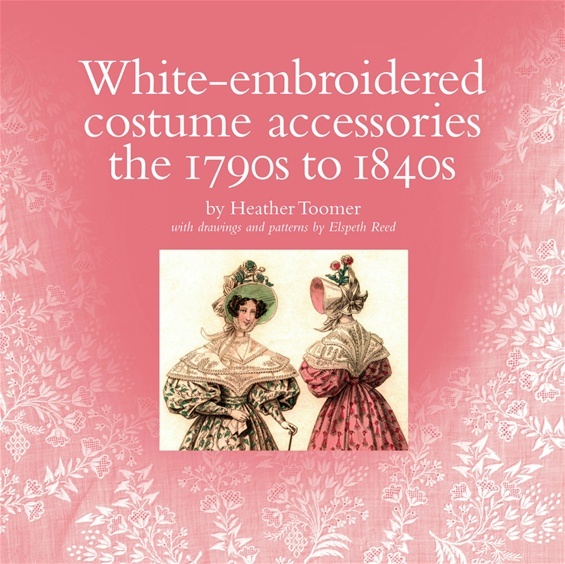 This sequel to our book on 18th-century whiteworked accessories continues the story from the 1790s into the 1840s as new accessories developed for women: kerchiefs were first replaced by habit shirts, or chemisettes, to fill low necklines; then in the 1820s-30s extravagant pelerines spread over high, wide shoulderlines; while in the later 1830s-40s, fichus and capes wrapped closely round the body to create a more demure line. All played a vital role in creating the changing fashionable image. As important as the style of accessory was its decoration. Fine hand-embroidery still flourished and its stitches and designs also varied with the times. All these changes in accessories, their relationship with the underlying dress, and the embroidery styles are followed in numerous contemporary fashion plates, portraits, embroidery patterns and photographs of original articles. Scaled patterns of various garments and information on the location of items in public collections are also given. This book will be of interest to anyone concerned with cataloguing a costume or embroidery collection, embroiderers and designers requiring detailed information for accurate reproductions or seeking inspiration for new works, costume and social historians, and anyone with a love of fine craftsmanship. 192 pages with over 400 colour and b&w illustrations including: photographs of original whiteworked costume accessories; fashion plates and portraits showing how they were worn; close-ups of their embroidery and over 30 accurate patterns to facilitate reproduction of many examples. Prices including postage: £19.75 within the U.K.; £26 to Europe; £30 to the U.S.A. and Canada, £30.50 to Austalia. Please email me on htac2000@gmail.com to ask for cost of postage elsewhere or combined charges for several books. Is the 1790-1840s book still available? Cost plus shipping to the US, please? I would like to purchase your book Embroidered With White. is this book available for purchase in the US & if so how??? Yes, it's still available. Just email me on htac2000@gmail.com and I'll send you a Paypal invoice for £29 and I'll get a signed copy in the post. Is your book "White-embroidered Costume Accessories" still available? I would love to order a copy from you. I live in the US. Thank you! Thanks for your interest - but which book? Prices including shipping are on the web page. Do email me on htac2000@gmail.com for an invoice. The book looks wonderful!! What would the cost be for the book plus shipping to the U.S.? for our Museum library. Please advise how to proceed.